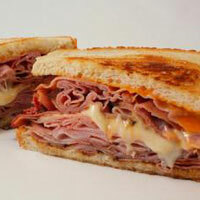 The sandwich above is famously called the Number 19 at a famous deli here in Los Angeles called Langer’s®. 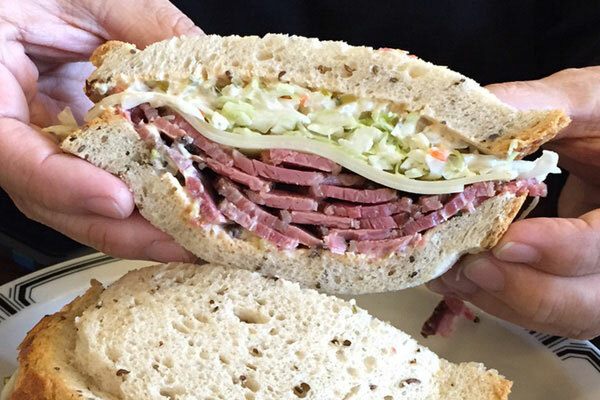 It’s a very simple sandwich–pastrami, swiss cheese and cole slaw on rye bread with Russian dressing. I can assure you that it tastes every bit as amazingly good as it looks. As a professional writer though, I was wondering why they couldn’t think of a better name for it. Don’t get me wrong, this sandwich has become so famous that it’s their signature, and now everybody knows “the famous #19”. But when Langer’s® first opened, didn’t they want to name their sandwiches? I happen to think adding personality to food is what gives a menu or a restaurant its character. If it were me, I’d give my sandwiches names. Some restaurants do this, but few do it well. I say that you and I can do better, and no easy tricks like naming yours after a celebrity, like “The Will Ferrel” or “The Beyonce Burger”, OK? The trick is to get creative with the ingredients, or project what it tastes like into your name. I’ll get us started with these classic sandwiches. I’ve given each a name and a menu description to make them sound spectacular. 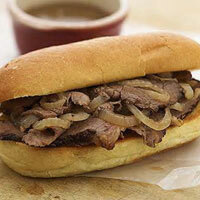 French Dip Sandwich or Beef Dip in a Broth Bath–say that 3 times fast as you plunge our tender rib eye into a warm au jus. Crusty French bread and rare roast beef, soaked in its natural juices. 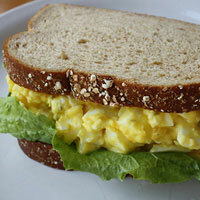 Egg Salad Sandwich or Eggstreme Makeover–the classic egg salad as you like it, but we’ve spiced it up a little with curry–finished with cilantro, scallions and cucumber. Grilled Ham & Cheese Sandwich or Hammy Cheesy Sammy–our premium ham, thinly sliced and nestled between slices of genuine American cheese. The bread is toasted to a perfect brown on our griddle with the right amount of butter on each side. 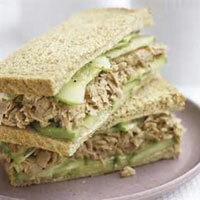 Tuna Salad Sandwich or Singa Tuna Fish–our flaky fresh tuna lightly tossed with crunchy chopped celery, a balance of onion and finely diced dill. Homemade mayo on the side so you can build to your taste. Meatball Sub or Polpetta Delizioso–tangy rich marinara sauce smothered on our signature Italian meatballs, served up open-faced on our artisan white bread. This sandwich classic is topped with grated cheddar cheese. And so on and so on. See how a little bit of creative writing can make anything sound like a heavenly gastronomical masterpiece? 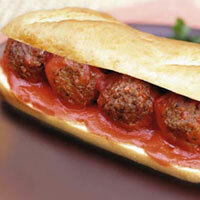 You can do it too–create a sandwich and use your imagination to name it. One of my favorites is a popular breakfast sandwich at Denny’s® called “Moons Over My Hammy®”. It’s a “classic ham and scrambled egg sandwich with Swiss and American cheeses on grilled sourdough”. This one is so good, Denny’s® trademarked the name! Many sandwiches do have names that have stood the test of time. No need to change anything at all, but it does prove that when a nickname is good, it sticks and identifies it forever. Everyone knows what a Reuben is, or a BLT, or a Hero, PB&J, or Club. So how about Langer’s® number 19? The Prince of Pastrami? Deli Delight? Right Between the Ryes? Maybe we should leave that one alone–it seems to be doing fine on its own without our help. 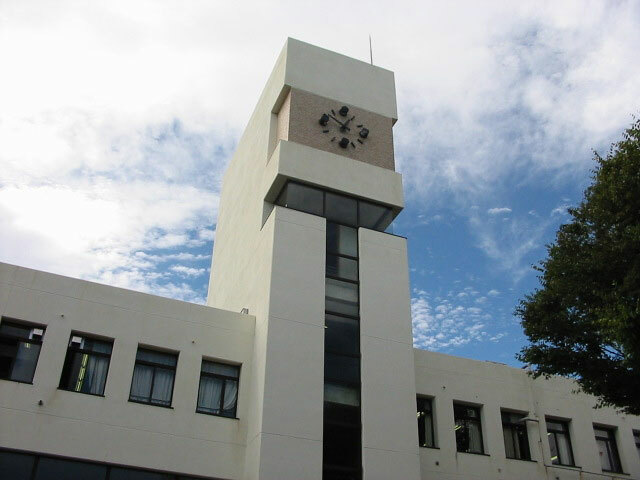 Did you know that in Japan the school year begins in April? It’s an unusual concept to those of us accustomed to a September ‘back to school’ season. Seasonally speaking, April is the perfect time to begin something new. The dead months of winter are long gone, new life is all around, and the opportunities for new beginnings are just about endless. In true Japanese style, the practice of heading back to school would not be complete without some kind of ceremony or ritual. After all, it is a very special moment for children, and can be quite scary! Don’t you remember? Nyuugakushiki or school entrance ceremonies are held across the country in the beginning of April. It is a time for upperclassmen to welcome incoming students and for all to think about what kind of year they’d like to lead. Older students and parents will take their seats in the school gym as new students march in to be welcomed by a round of applause. It is a wonderful way to join students together indeed. During this ceremony, the school principal might talk about what’s ahead and introduce the teachers. An older student or two will typically say a few words to help ease the nerves of younger children. The ceremony would not be complete without singing the school song to bring all children together! While most of our ‘back to school’ days have long passed, we can still take time to think about what’s to come in the approaching spring and summer months-and what a fantastic time to ponder! A new project, a family vacation, or a blow out party just might be the inspiration for new beginnings! Whatever it is you decide for the next few months, we are sure it will be filled with food, friends, and happy memories. Welcome to spring! 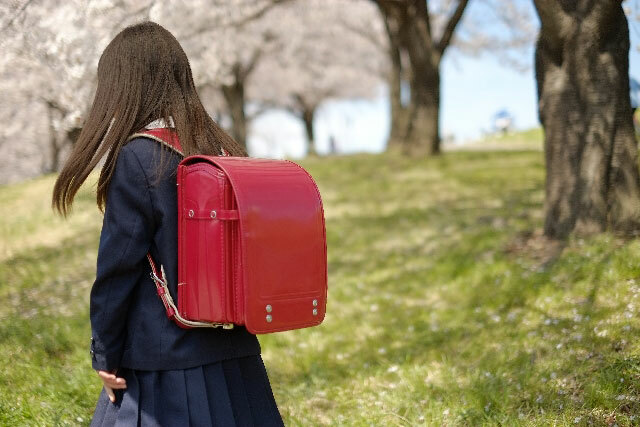 Japanese school children have the coolest backpacks! In fact, they’re not even called backpacks; they’re called randoseru. See, they even sound cooler! 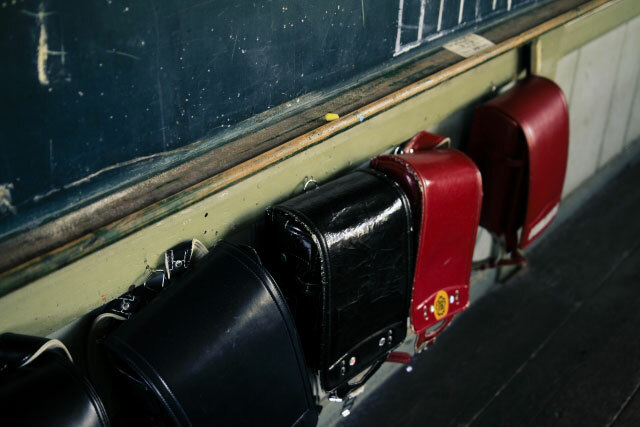 If you have ever been to Japan, read manga, or seen an episode of Pokemon, then surely you have seen the stiff leather bags strapped to the backs of kids in Japan. The name randoseru actually comes from the Dutch word ransel, which means backpack. These sturdy leather varieties were brought to Japan in the 19th Century and became a must-have item in the later half of the 20th. Kids receive their first randoseru at age 6 and are expected to keep the same one until 6th grade! It’s not exactly the same disposable mentality over there, eh? That longevity does come with a price however. Randoseru cost anywhere from $350- $600! They are mostly expensive because of the high quality leather. If you are looking to save you can find synthetic varieties at lower prices. They are becoming quite popular these days! Kids love to add accessories, covers, and charms to their backpacks, and you can find endless bits and bobbles in shops around Japan. If you are intrigued by these long-lasting backpacks, we have good news for you. They can actually be found easily online these days. How is that for a fashion statement? It looks like a baby onion, tastes like a mild ginger, and will add extra zing to any dish! We are talking about Myouga or Myoga ginger. These delicate little guys are best enjoyed when they are soft and young. 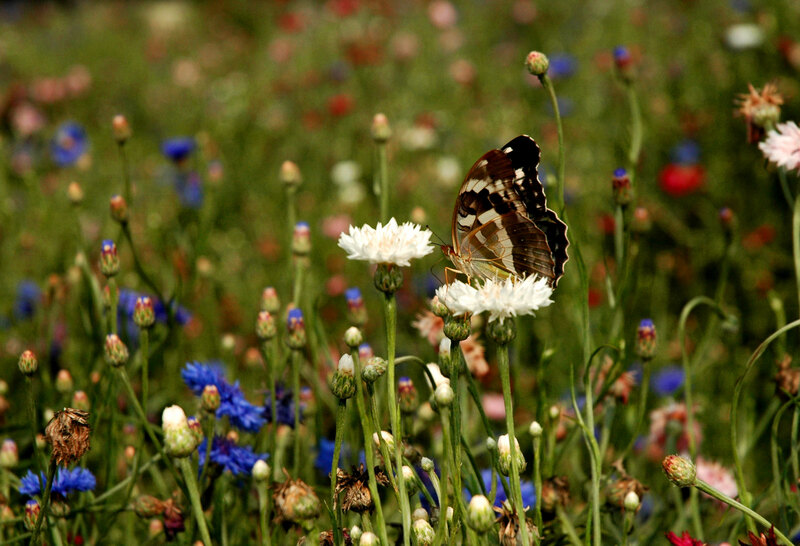 Cultivated year round, we recommend enjoying in the months of June to September. That’s when their flavor is best! If you haven’t noticed these guys around, it’s probably because you didn’t know to look. 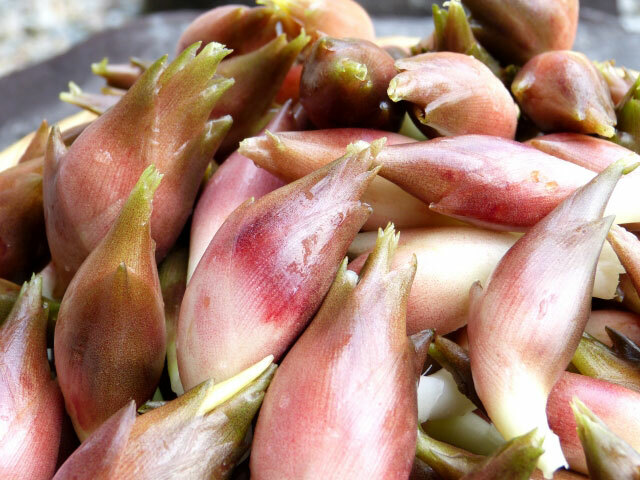 Myoga ginger is widely available at most Japanese markets and online. That’s good news because Myoga ginger goes with just about everything. Our favorite way to enjoy this punchy ingredient is raw and thinly shaved over noodles, tofu and salad. We also recommend it finely chopped in salad dressings and marinades, or finished with pan sauces. You can even dry them in an oven at low heat for crispy ginger chips or pickle them in vinegar for a sour snack. Happy cooking! This month, our must-have items are just about as old as rice! They are the kind of tools you didn’t know you couldn’t live without. Once you start using ohitsu & shamoji, you will use them every single day. Now, what are they? Ohitsu means rice tub. They are the old school covered rice bowls that come in a variety of materials from the classic wood to plastic, and even ceramic. 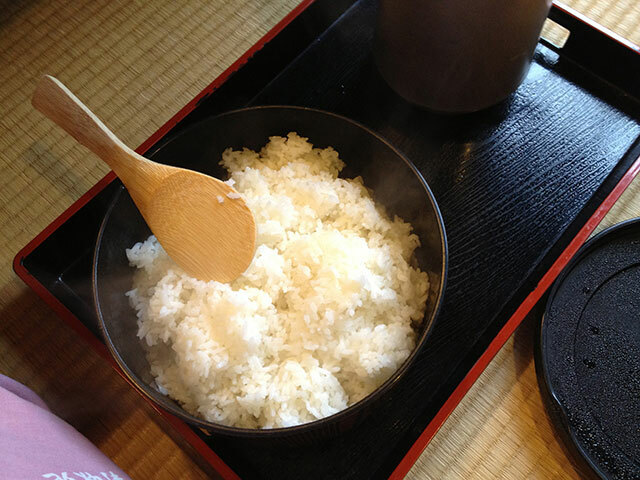 You can keep your rice in ohitsu for serving at table. This will keep rice warm, moist, and fluffy just how you like it! The largest shamoji in the world, located in Miyajima. And you won’t have any luck serving your rice without shamoji or rice paddle. 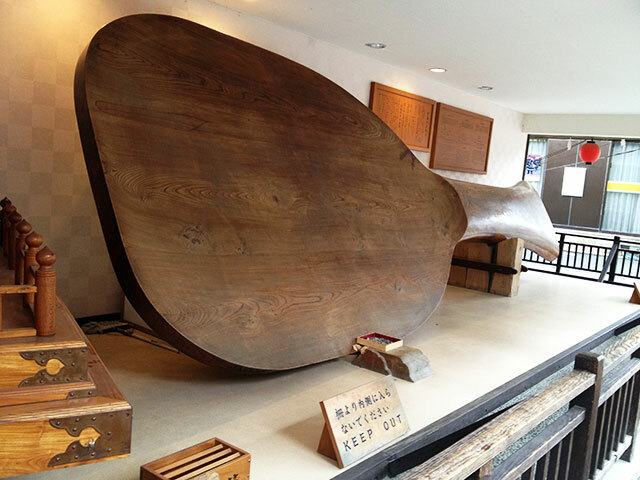 This paddle can be used for serving, cooking, and mixing. The wooden varieties even work for stir fries and scrambled eggs! (That’s our little secret!) We advise mixing rice, immediately after it completes cooking, with a shamoji. Mixing rice will allow excess moisture to escape, and keep the consistency throughout the bowl of rice. Don’t believe us? Treat yourself to a starter kit online and see how you like it. Don’t forget to report back to us with your kitchen stories! I have recently renewed my love for Yakitori. 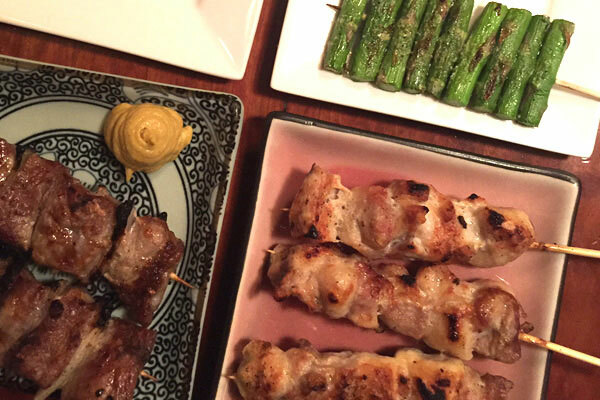 Not that I wasn’t always a fan of these skewered delicacies, but I just hadn’t had any outstanding ones–until my recent trip to New York, where I found the most amazing yakitori this side of the Pacific Ocean. The word yakitori literally means “grilled chicken”, but also refers to this style of dish–bite sized morsels of chicken and vegetables skewered on bamboo sticks and grilled over an open flame. There are many variations of yakitori, usually cooked to order and served a few skewers at a time. •Negima: classic yakitori, made with alternating pieces of chicken thigh and short spears of scallion, brushed with a teriyaki style sauce as it grills. 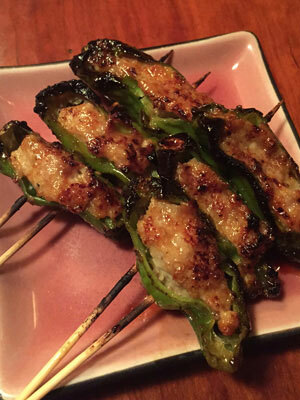 •Tsukune: meatballs make of minced chicken, vegetables and spices, usually skewered 3 to a stick. •Kawa: only the skin of the chicken, grilled to be crispy on the outside–not as fatty as you might think, if done right. •Tebasaki: chicken wings, splayed and skewered with bone in, usually 2 to a stick and eaten with a dusting of salt. •Reba: chicken liver, loved for their firm texture as you bite into it, as well as the taste. •Nankotsu: mostly cartilage taken from the breast bone, again prized for its crunchy texture. •Sunagimo: chicken gizzards, popular for its grainy taste and healthy benefits. •Sasami: chicken breast; soft and tender, this part is less fatty and regarded for its high quality–often served with wasabi. You can see how almost every part of the chicken is used, and there are more organs that I haven’t listed here. 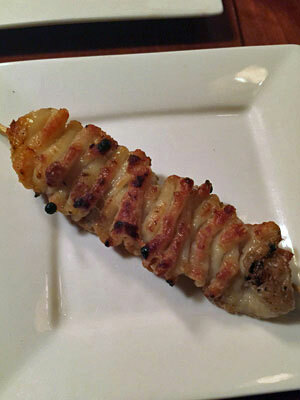 I’m a fan of yakitori, but not a fanatic enough to eat weirdness. Any yakitori restaurant will also serve a variety of non-chicken skewers like pork, vegetables like shiitake mushrooms and asparagus, and their own creations like bacon wrapped whatever on skewers–you can’t go wrong with bacon! 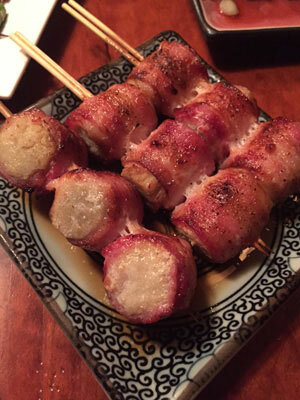 There’s some background that you might appreciate about yakitori. 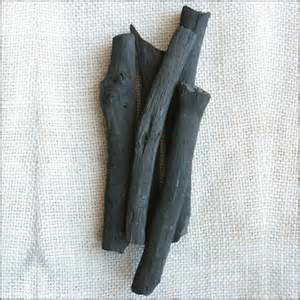 Any decent yakitori restaurant will use a particular type of charcoal called Binchotan, an extremely hard, slow burning white charcoal that doesn’t release smoke or any unpleasant odors like common black charcoal, making it a favorite of discriminating chefs. Its hardness even makes it ring with a metallic sound when struck. Binchotan originated from Japan and dates back to the Edo Period of the 1600’s. The types of seasoning or sauce used to flavor each kind of yakitori also varies with the type of meat or chicken part or vegetable being used. You are usually given a choice of condiment at the table, including the house sauce, ground red chili pepper called shichimi, or plain salt. Other seasonings like miso paste or ponzu or wasabi are usually applied before it reaches your table. One restaurant I went to many years ago in Tokyo always had a reservation list at least 2 weeks in advance. And it was because there were only about 12 seats in front of the counter, where a very picky chef prepared and grilled every skewer by himself, one by one in front of every customer. He would then place a pinch of the specific condiment that he wanted you to use next to it on the dish. This was his way of urging everyone to eat his yakitori exactly the way he thought it best, because he wanted you to have it taste the way he intended, not overly seasoned or altered. I don’t think anyone objected. If you’ve never had yakitori, I would suggest you try it–Zojirushi has a recipe for a miso based chicken one that you can easily make at home with a roaster. Find the recipe here. Yakitori images courtesy of Shelley Opunui and Restaurant Totto, NYC.